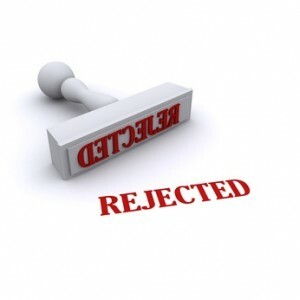 What you say to rejected applicants depends on why you decided to reject them. If the information that prompts the rejection is based on tenant screening reports from a credit reporting agency, you have an obligation to disclose to the applicant that those reports contain negative entries. The specific rules for this disclosure, or “adverse action” notice, are dictated both at the provincial and at the federal level. Typically, the landlord must point out there is negative data, and provide the name and address of the credit reporting agency where it was obtained. This allows an applicant the opportunity to contact the credit reporting agency if they wish to dispute the report. If the reason you reject a tenant is based on something other than consumer reports, like information that came directly from the tenant or from your own investigation, there is no requirement that you disclose the reasons for the rejection. If the information was obtained both places, for instance, if you suspected the applicant had bad credit, and then confirmed that in a credit report, you would be wise to follow the rules for adverse action notice. Many landlords and property managers choose not to offer a specific reason for the rejection in any situation where stating a reason is not required by law. They simply send a rejection letter, tell the applicant they were not chosen, or do nothing. If you do decide to offer a reason or discuss the rejection with the applicant, telling the truth tends to be the path of least resistance. Avoid making up reasons that you believe will be more palatable to the rejected applicant. If you’re found out — and there’s a good chance you will be — your actions will look suspicious. Once the applicant feels you are deceiving them, they will look for the “real” answer, and may assume you discriminated. One way to reduce the number of times you must deal with rejections is to spend more time with individuals on the phone when they first respond to a listing. Make sure he or she understands the rent requirement, including the need to prove enough income to qualify. Go over other restrictions, like no-smoking rules, and eliminate applicants who will not fit your requirements. Let prospective tenants know you will be running a credit check. This way, you discourage unqualified applicants early on, so they can spend their time — and yours — more wisely. Previous post: Tenants Didn’t Move Out: Now What? Next post: How Do I Reject an Applicant I Don’t Like?